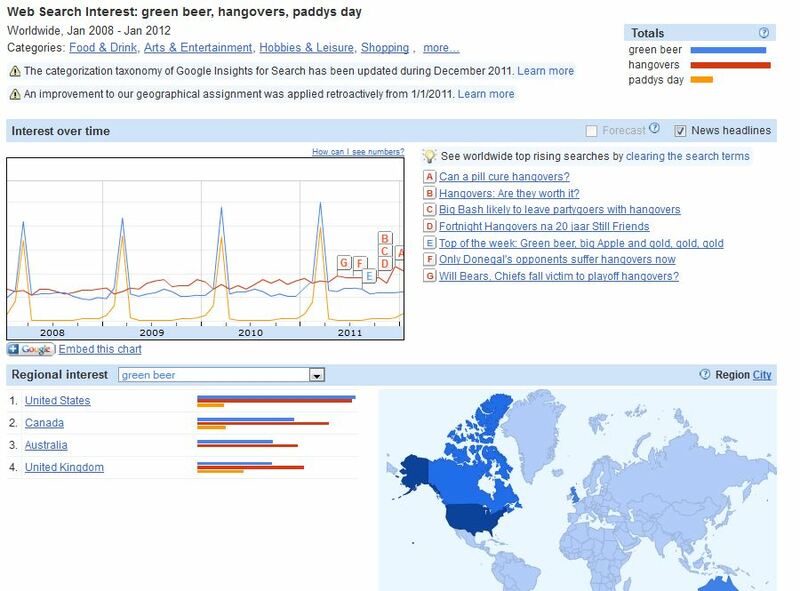 In honor of St. Paddy’s Day, I thought we could take a look at search trends for 3 keywords: paddys day, green beer and hangovers, using Google’s Insights for Search. There is an oblivious correlation between “paddys day” and “green beer”, with search volume increasing year over year. While “green beer” search volume is strong worldwide, it is strongest in the US. I’d bet the UK sticks with straight Guinness. If you haven’t explored Google’s Insights for Search beta in a while, I’d check it out. You could spend hours geeking out in the tool!